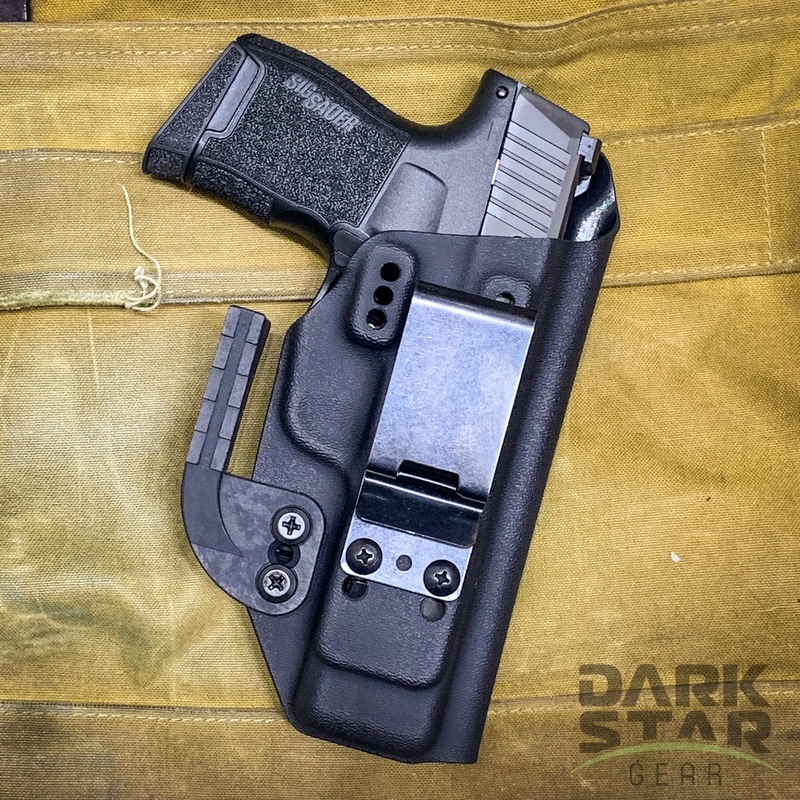 Any chance you could make a P365 holster that has the clip in the same position as the LCR holster? I like how the clip position allows me to work around belt loops and to make mini adjustments for biking, boating, etc. We're working up a Hitchhiker for it as we speak, along with the P226. Should have out prototypes by early next week at the latest. Tester in hand, not much longer for the 226 and 365. He posted the pic to instagram recently. Looks as good as you would expect, dark wing and all. I keep trying to hold my breath for this holster, but it's really hard.